Botox EDU has been a member since April 28th 2014, and has created 210 posts from scratch. You want to increase your clientele, but your resources are limited, your time especially so. Adding new services in order to acquire new patients usually involves a significant investment in equipment and training. We understand and we want to help. This year, according to Google, more than 246,000 searches are done for information on Botox every month. Botox typically isn’t covered by insurance, so individuals seeking Botox Injections have the disposable income to pay for it. No anti-aging treatment offers results as quickly or as long lasting as Botox. This is why Botox is the most widely sought after anti-aging treatment in the United States. Our Botox training doesn’t stop at teaching you how to administer Botox injection, we also teach you how to explain the benefits of treatment to your prospective patient and how to turn your patients into huge fans that will recommend you to everyone they know.New injectable products are being approved all the time, and injectable products are consistently being approved for new uses. This is why is it so important to make certain you find a course that teaches the most current FDA approved as well as off-label treatments for both aesthetic and therapeutic uses and how they should be used with dermal fillers. Many Botox injection training courses will get you qualified, but our course will offer you added credibility. 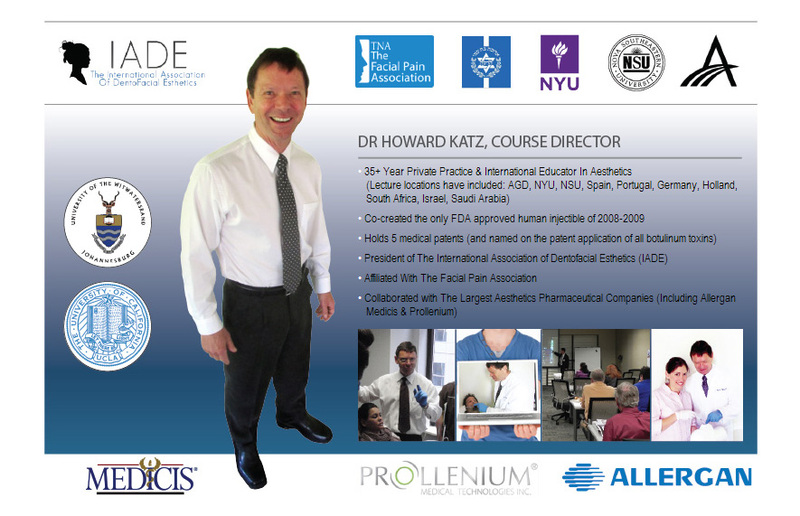 Course director Dr. Howard Katz is named on the patents for all current Botulinum toxin products. The course is offered online, but on successful completion, you will receive a certificate of completion from Dr. Katz himself. You’re probably wondering how in the world you can learn to administer Botox injection over the internet. 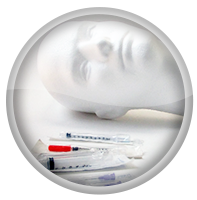 Prior to the course, you will receive a kit that includes a foam head along with all of the needles and syringes needed. Throughout the course, the instructor will demonstrate each treatment, showing the placement, angle and depth from multiple angles. You will inject the foam head in the same manner and submit photos of each. We will assess the location, angle, depth and dose of each and either verify the accuracy of your technique or coach you on how to improve. 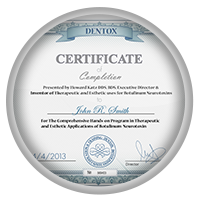 Once you have correctly demonstrated accurate technique for all treatments, we will send your certificate. During the course, you will watch the class in high definition from a computer, tablet or smartphone and you’ll be able to talk to the instructor just as you would if you were right there in the classroom. You don’t have to be a computer expert to attend. If you can send an email or surf the internet, you’ll have no trouble. When you sign up, you’ll receive an email with a link to the class. As you watch the class, type any questions you may have into the chat box. Use the camera on your computer, or any other digital camera to take pictures of your technique and upload them. Maybe you’re still skeptical. One notable advantage to taking a course online is that you still have access to all of the recorded lectures and other course material anytime, day or night. Missed something? Still not quite clear on something? Just got lost at some point and don’t feel as comfortable as you’d like with the procedure? Not a problem. Go back and rewatch the class as much as you want whenever you want. Of course, there’s also the fact that you don’t have travel costs or time away from the office and online Botox injection training becomes rather attractive. Need more reasons to consider our Botox Injection Training course? You can ask questions of Dr. Katz after the class is over, or consult with him on treatment plans for specific patients. Send photos of the patient and he will respond within 24 hours. If you live near San Diego or plan on visiting you may attend semi-private hands on classes anytime, for free. Get a discount on any of our live patient Dentox programs. Receive priority access to all new courses and webinars. Receive AGD continuing education credit. Many Botox injection training courses do not offer this. This course is intended for doctors, nurses and other healthcare professionals. State laws vary as to what specific professions are allowed to administer Botox. Be sure you will be eligible to administer Botox before signing up. Along with online Botox injection training, we also offer local in-person classes. If you have taken the online course, the cost will be deducted from the live class. We also offer private consultation in our office. 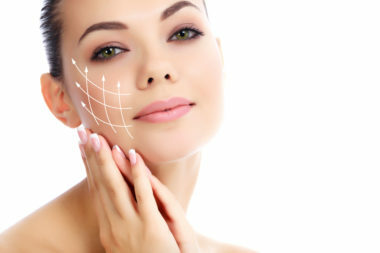 When you sign up for Botox injection training, you’ll not only receive the foam head, syringes and needles, you’ll also receive detailed information on pricing on all of the various Botox products and alternative products such as Juvederm and Restylane and when these products are preferable to Botox. You’ll also receive information on how to earn the kind of loyalty from your clients that has them raving about you. It’s our goal that you not only gain proficiency with with products, but that you are also able to develop a loyal following. You will also receive manuals, a list of resources and sample forms. Treatment with Botox takes only a few minutes and requires no recovery time, many patients stop in for it over their lunch hour. Results are apparent in three to ten days and last three to four months, longer with repeated use. Botox injection is safe and carries few side effects, which are typically mild and temporary. 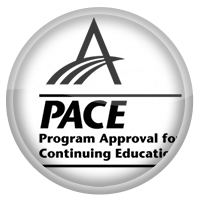 Course participants gain both extensive knowledge of aesthetic practice, and continued education credit. Why not revitalize your practice with new, affluent patients? For patients who are tired of always looking sad or even angry, correcting drooping, downturned mouth corners with Botox can change their self-image – and their lives. Droopy mouth corners are often easily corrected with a small dose of Botox administered by a carefully trained medical professional.When you take the new all-hands-on Botox training course from Dentox, you could quickly and easily become such a professional, also correcting frown lines, marionette lines, fine wrinkles, lines around the eyes and so much more. You’ll even learn how to treat excessive sweating, jaw clenching and other medical problems with safe, effective Botox. Drooping at the corners of the mouth is often caused by over-contraction of one or both DAOs – or depressor anguli oris muscles. This paired set of jaw muscles runs beside the mouth corners and is responsible for the sad, perturbed or frowning look that many of your patients will find highly undesirable. All you have to do is frown and you’ll feel these muscles pulling downward. But with Botox, you can reduce this drooping and improve the overall look of the face and the demeanor of the patient. This drooping of the lip on one or both sides can have many causes. The most common cause of dropping on both sides is aging. As we age, our skin becomes less able to bounce back from the movement of the muscles under it because of the loss of elastin and collagen. Elastin is responsible for tightness of the skin while collagen provides firmness. When combined with dermal fillers or used alone, Botox can release the muscles that amplify the sagging. Restylane and Juvederm are among the dermal fillers taught hands-on in the Dentox course that can be used alongside Botox for the best possible results. Depending on how much drooping is present in the patient, Botox alone or in combination with dermal fillers can be exceptionally effective for lifting and shaping at the corners of the mouth. Low-dose injections in the DAO muscles themselves may be all that’s necessary for a dramatic change. But you must be well-trained to handle this procedure. If you get it wrong, you could temporarily impact the ability of the patient to smile, creating an undesirable outcome. The possibility of creating bad outcomes if you inject Botox incorrectly is why an all-hands-on Botox course is so important. During your seminar with Dr. Howard Katz, you’ll learn hands-on exactly how to inject Botox and dermal fillers in a variety of situations for positive outcomes that leave your patients impressed and ready to come back for more. For facial aesthetics as well as for certain medical conditions, Botox is one of the most exciting developments of our lifetimes. And there is no trainer more qualified to teach you how to inject Botox correctly than Dr. Katz, one of the pioneers in its usage. Explore the Dentox website to learn more about all-hands-on live Botox training with Dr. Katz and other options. When you learn Botox and treat your patients with skill and precision, they’ll have nothing to frown about. Smoothing of the lips is one of the ways that Botox injections can make a dramatic and lasting impact on the look of your patients. When properly injected by a trained professional, Botox can relax the top lip and make it look smoother and younger. 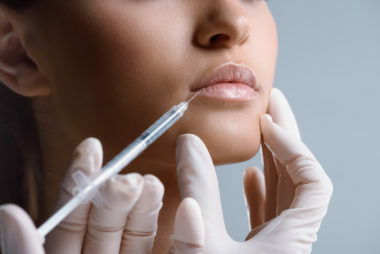 Today, some patients and medical professionals call this procedure the Botox lip flip. As we age, the amount of skin collagen reduces naturally, making our skin less elastic. This is evident everywhere on the body, but it’s especially noticeable on the face. As the skin begins to sag, lips can wrinkle and even look as though they’re disappearing. Sun exposure worsens the wrinkling by breaking down collagen faster than it normally would. A deficiency of B vitamins, in particular B12, can also lead to thin, weak lips. During your all-hands-on Botox training course, you’ll learn that placing Botox injections precisely in the Cupid’s bow area – the center of the top lip – relaxes the orbicular oris muscle which controls curling and puckering, reducing the unpleasant effect it has on the look of the lips. Following well-place injections by a well-trained medical professional, the top lip relaxes to look longer and begins to slightly curl up, increasing its fullness. This slight curling is why the procedure has become known as the Botox lip flip. It takes several units of Botox to generate the desired impact on the top lip. In many cases, the lengthening and the relaxing of the muscle in the center of the top lip is all that’s necessary for excellent results. This is especially true in younger patients who don’t have deep wrinkles. When more plumpness is needed to achieve a nearly wrinkle-free lip area, dermal filler can be used to add volume. Use of lip filler is covered in-depth in the Dentox all-hands-on course as well. 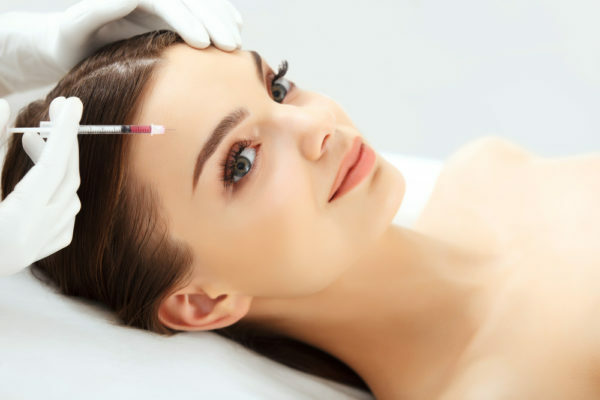 In most cases, the goal is to achieve the best results possible with the Botox lip flip procedure and then use a filler containing hyaluronic acid – like Restylane or Juvederm – to add plumpness. Patients will come again and again for this lip smoothing procedure because the result is amazing – but it doesn’t last forever. The impact of the Botox injections on the top lip can last for months, but the dermal filler injections last only a few weeks. Patients will often come in for filler so they will look their best for a special occasion and then like the results so much that they can’t go back to the way they looked before. More people than ever are turning to safe, proven-effective Botox injections, and you can create an entirely new client base and revenue stream for your practice while getting additional fees from your current clients when you add Botox and dermal filler to your offerings. Learn Botox and dermal filler injection at the Dentox All-Hands-on Botox & Fillers Course – and satisfy your patients with stunning results that make you seem like a miracle worker. …The rear part of your cheek has a muscle that runs through it, starting from the temporary bone to the lower jawline. It is known as the masseter muscle, and it enables you to close your jaw when chewing. This muscle is the leading cause of a square-shaped and large looking face. A square-shaped face is mostly seen in male adults as a desirable trait, but it is mainly frowned at by females who desire a softer jawline or a V-shaped face. Botox is a useful treatment option for those patients who want a slimmer and soft-looking jawline without going under the knife. The procedure involves injecting the masseter muscle with Botox injection. The procedure is easy and can be completed within 5 minutes. A small amount of Botox is injected on each side of the face to weaken the muscles and shrink it a bit. It is highly effective, and the patient is less likely to feel severe pain, and it has no downtime. The effect will be slightly noticeable after a few weeks, and the full result will be seen after six weeks. On the average, the result will last up to six months. 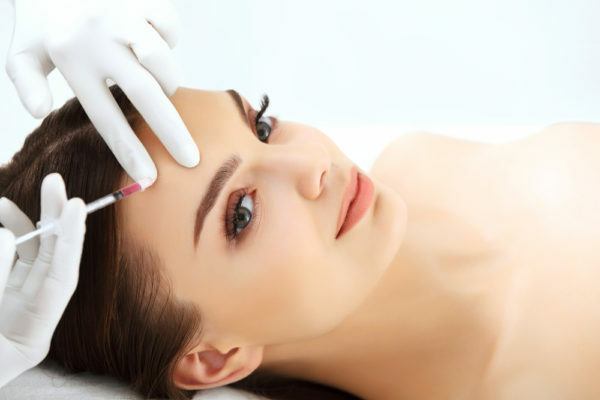 Hence, the procedure does not need to be repeated frequently to maintain a slimmer face and jawline compared to patients who apply Botox to eliminate facial wrinkles. Despite the numerous benefits, Botox has some side effects as well, and they might include drooping eyelids and headache. Some people who have undergone treatment with Botox can experience pain at the injection site too. Other possible side effects are diarrhea nausea, muscle weakness, and bleeding. But the following symptoms are common among Botox patients such as difficulty in urinating, redness, increased perspiration, and redness. Botox is administered in low concentration, and thus the body is not too exposed to the side effects. If you notice that the side effects are getting worst, ensure you see your doctor. …How are they different from Botox? Botox is not a strange name to most patients who have been treated against the effects of aging. But now, Dysport and Xeomin are here, and these patients now have additional choices for a competitive price. We are going to examine the primary differences between these neuromodulators in the US. Botox is a product of the Allergan brand, while Dysport and Xeomin are a product of Medicis and Merz respectively. These products alter the functioning of some muscles and this result in the reduction of those wrinkles caused by the contraction of the muscles. These three brands are valid forms of treatment but with a little difference in their formulation. They work to a achieve the same purpose, which is to weaken the facial muscles and cause wrinkles to fade out. Botox enjoyed monopolistic market dominance for seven years. This ended when Dysport was introduced and approved by the FDA in 2009. While Xeomin was added later and got approved in 2011. Botox: Also known as Onabotulinum Toxin A is the oldest on the market. Its active ingredients are made mostly of protective proteins with a weight of about 900KD. They provide protection, and they stick around the botulinum which ensures its longevity. Dysport: Also known as Abobotulinum Toxin A has some similarities with Botox due to the added proteins. But it is slightly different because it has some carrier proteins than Botox and has lesser weight. And this can make the toxin to spread faster after the injection. Some studies revealed a faster onset of about 1-2 days. Dysport cost less per unit, but a single unit of Botox or Xeomin is equivalent to three units of Dysport. Xeomin: Also known as Inco-botilinum Toxin A contains only Botulinum toxin. It is sometimes called the “naked Botox” because it has no carrier proteins just like Botox. This will result in fewer allergic reactions, and your body is less likely to develop an antibody resistance. Fortunately, Xeomin does not require refrigeration like Botox and Dysport which makes shipping and storage easier. Just like Botox, it has a 33-5 day onset, and it is less expensive. These three brands may last between 3-5 months. And as patients apply Botox, Dysport and Xeomin injections randomly, they will eventually notice the one that works best for them.